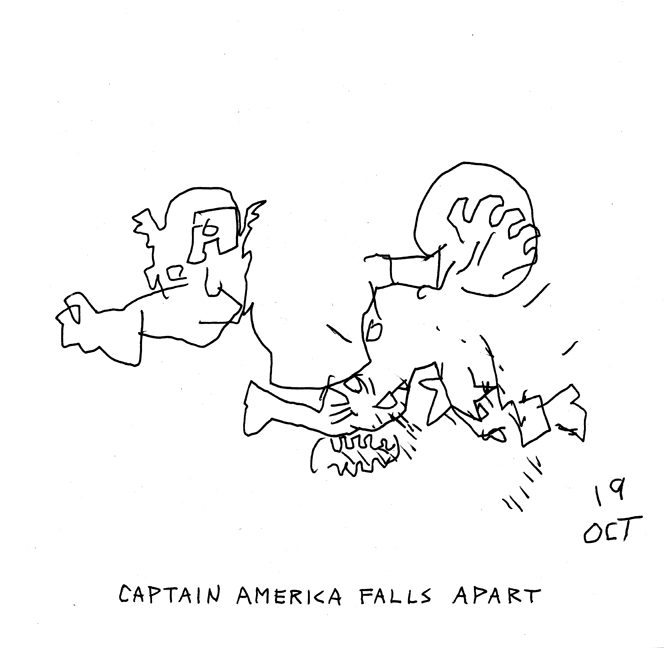 Three blind Marvels (i): Captain America drawn with eyes shut. 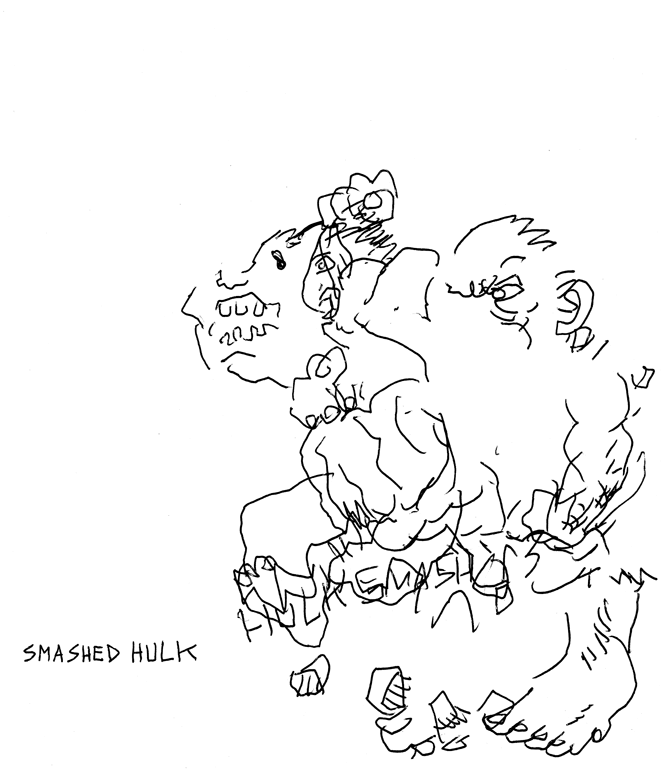 Three blind Marvels (ii): The Hulk drawn with eyes shut. 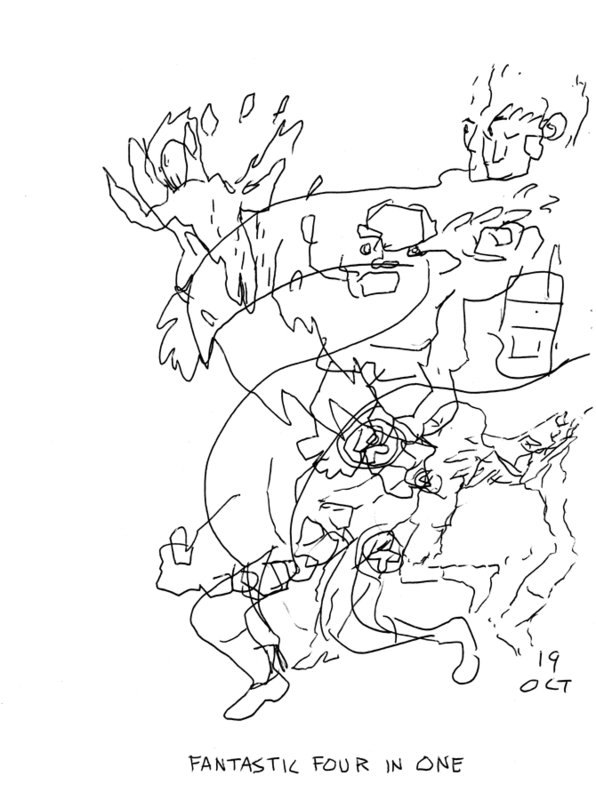 Three blind Marvels (iii): The Fantastic Four drawn with eyes shut.